The recent tragic news a few weeks back about the young Massachusetts math teacher being murdered by a 14 year old student rather spawned a few memories of my own educated past, and the rage that student must have felt to commit such a horrendous crime against another person. Now, mind you, in no way am I treating this tragic death of an educator in some flippant way nor do I wish to cast a negative light on educators in general. This crime should never have happened to anyone, but yet it does represent a sign of our times; mental illness is a true problem and it will just get worse as the population increases. Also, this crime illustrates that it’s obvious this isn’t all about gun control. I fully respect educators all for their work and dedication. But as a news item it nonetheless triggered some thankfully less tragic thoughts about me and my hatred of… math. Ok.. that being said… I think we can all identify with at least one educator from our past that we would have liked to see… well, vanish (“murdered” is a bit strong, although likely given a passing thought at the time). It’s natural to think those things in life, as adults or children, and for the most of us our common sense of right and wrong and compassion thankfully wins over and we keep it limited to our imaginations. In my case, since I hated math, it was natural to think about unpleasant things happening to math teachers. It always seemed to me that they were teaching matter-of-factly to the girls in the class (girls always could do math) and the male pocket protector geeks. I was constantly in a world of “WTF” in math class. Fortunately my “expertise” was social studies/history/poli-sci and science subjects, and I did ok in English Lit, so I managed to keep up an acceptable GPA to graduate in spite of my math deficiencies (there were many “F’s” as I recall). I suppose I should set up a little personal profile of my younger academic years in the Chicago Public School system of the late 1950’s. Our local neighborhood elementary school was the typical brick three story thing, built in 1936. As all schools back then (unless you lived in the burbs and had those progressive “middle schools”) they were K-8. I was lucky in that I was only two blocks away so I walked to school every day. My parents were very supportive of getting an education and were indeed true task masters in getting me to complete my homework assignments. Mom came from a business family and my dad was an electrical engineer (trained by the military at Cornell University to fix military radios during the Greatest Generation war). Yep.. dad was the math guru in the family.. and his son hated math. Mathematics broadens young minds toward successful careers. or 20 already. In those early days it was basically simple arithmetic problems; carryover addition, subtraction, multiplication (which you had to memorize), and division. I pretty much got all that early on. It was the repetition in the homework assignments that discouraged me. In the classroom you had to suffer the indignity of being called upon to work out a problem in the front of the class on the blackboard and get it wrong. Constantly I was chastised for not getting my homework done, or done on time. There was a certain discipline with math… both in its problem solving and with doing the work, in class or at home. There was little “fudge factor” available in doing math as there was in science class or English class or social studies class. In history if you daydreamed during class you could simply read the textbook at home to catch up. 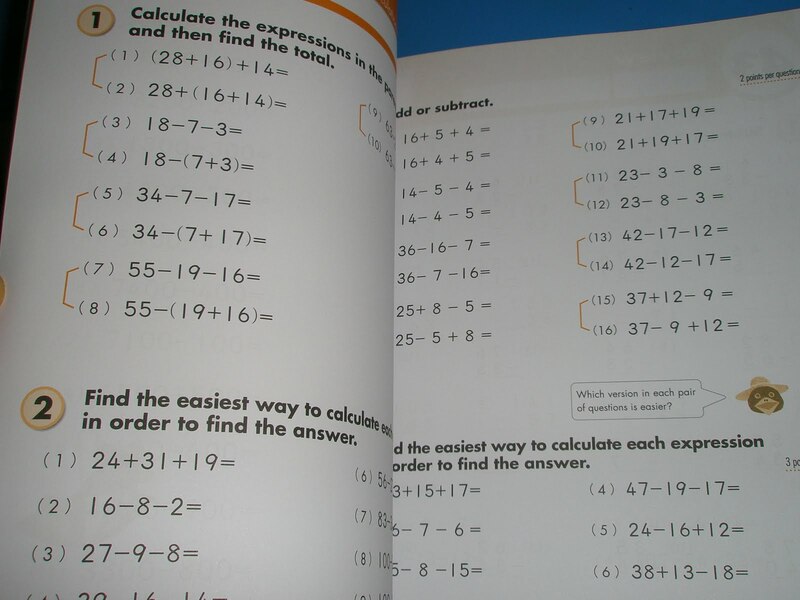 Who could ever learn arithmetic from a textbook!? I used to know the names of all these guys. Now, I never had any true problem in learning things or reading for comprehension. I was not mentally challenged in any way (at least not like all the labels they assign to kids these days to explain learning problems). I picked up an awful lot by simple osmosis. For example, since I was the oldest kid in the house mother had me do the dishwashing following evening dinner each night. I hated that too, but I learned to deal with it and I did listen to the radio, and then later watched the kitchen TV. Now, dinnertime also meant the evening news was on the radio (the kitchen radio, by the way, was a converted child’s old time metal tabletop stove/oven that dad put radio guts into). I did become oddly tuned in to current events for a kid my age from listening to the news each night. 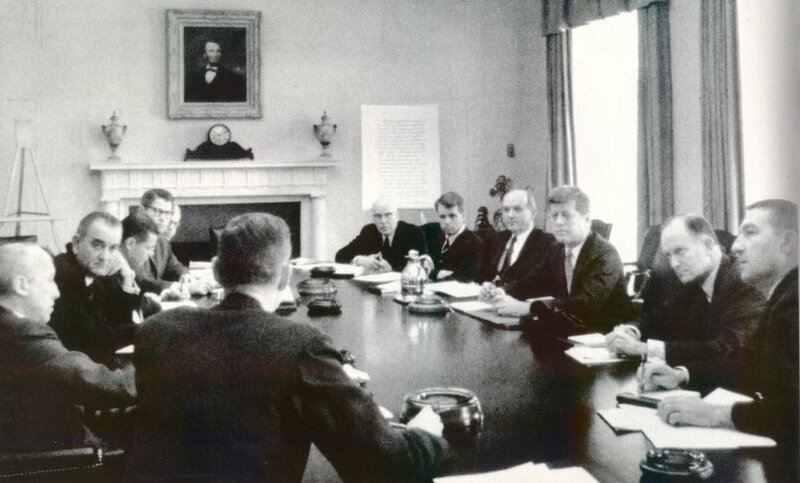 But amazingly, I grew to know the names of all the secretaries in Kennedy’s cabinet to the point that it was mom’s bragging rights at parties (no.. I’ve long since forgotten them). I also was more cerebral in my hobbies, too. I enjoyed stamp and coin collecting, I collected and cataloged (in my own way) rocks I found from various places, and like many boys my age I was into dinosaurs… and archeology. Yeah, I engaged in the sandlot sports with the neighborhood kids (we had the largest yard in the neighborhood), but I enjoyed being home alone in my bedroom with all my things and just dreaming. But my avoidance and procrastination in doing homework from school was my big problem… and doing math was just too damned tough no matter how you packaged it. My general science teacher (a male, by the way.. which was VERY rare in our school) brought up this idea in science that the future would contain computers that would convert “data” into 1’s and 0’s, thusly allowing the storing of immense amounts of data on magnetic tape (like audio recording tape of the day). He went on to show us the idea of converting regular numbers into this new “binary” language. This wasn’t a math class but he did have the class do some problems in binary conversion and also showed us how to convert into base numbers.. like base ten. Wow. I understood this stuff. I got pretty good at doing these conversions… and I recall having gotten a good grade in that class. Well… one day the class was over and back I went to real math. The sliver of light went away. Sometime during my 6th grade year we learned of this new math called… “New Math”. You see, up until that point if you did a math problem you were judged on the correctness of your answer and how you got that answer was not overly important (for most teachers). Well, New Math was designed to assign more value on how you reached the answer you did and not so much if it was correct. 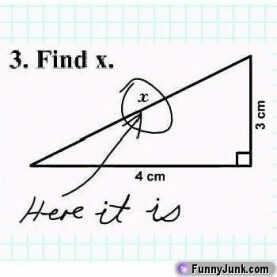 The idea was that if you learned the process correctly then the correct answer would follow naturally. Um.. ok. Bottom line, it was all about that thing with math I always dreaded.. showing your work. It wasn’t that I would cheat off someone and pop a number in (all the time) but there were actually times where I might arrive at an answer through some level of logic and/or piecemealing part of the correct process I managed to recall. To ask me to show the work was more a headache than finding the correct answer using the SWAG process (scientific wild-assed guess). Then came fractions. It’s a common supposition that what they teach in schools lags real life about ten years. Fractions are (or were) a perfect example. We are entering the mid-1960’s and someone is trying to teach me the relevance of learning how to add, subtract, and divide complex fractions. Why? 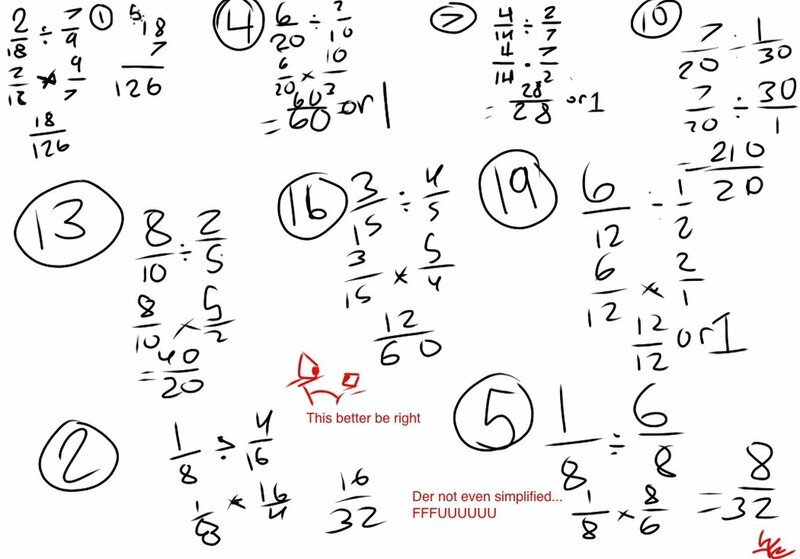 I mean, I can certainly understand converting fractions to decimals and then doing the math.. that’s easy compared to working with fractions themselves. Who uses this stuff? Just how many students are going to graduate from MY elementary school and enter occupations that use THIS kind of math on a regular basis without knowing how to use a slide rule (electronic calculators weren’t around yet)? Ok.. so the atomic age and the race to the moon was won by using the slide rule. So.. teach me the damn slide rule and forget the manual computations of fractions! Well, as you can see… I did not do well with fractions. But. to this day, I can hear the echo plainly in my ears from my father… banging away at me.. “You invert the divisor and multiply, son!” I’ve long since forgotten even what that means, but I know how to do it apparently. Well, my difficulty with levels of math did not end upon entering high school either. First came algebra. I seemed to find a little more ease with algebraic equations early on in understanding various use of punctuation indicating a logical math progression, but that quickly faded when even those equations got way more complex than necessary. Again… what kind of job would I be getting where even passive understanding of this stuff would be any value? Make perfect sense to me! Since I was younger my early doodlings on paper gradually revealed I had a little knack for drawing; not to the extent of graphic portraits, country scenes, or still life 3D, but rather mostly straight line pictures. I liked using rulers to draw buildings and I especially enjoyed doing action doodles of launching rockets, fast cars, and airplanes. While I was struggling with algebra I saw geometry looming on the horizon since that was a required course to graduate from high school. That was more about shapes and angles and straight lines. There was some family discussion that I might enjoy geometry given my affinity for shapes and angles and that maybe a career in drafting might not be so bad. I was somewhat encouraged. Oddly, I did well in drafting class, but alas, geometry turned out to be the nightmare from hell. In retrospect I do blame the way the subject was taught at the time. At the back of our text book there was a list of axioms, theorems, and postulates (let’s forget corollaries.. please). Yeah.. I know. What the hell is that. Well, we now have the Internet to finally clear all this up! Here’s what I found…. In reference to mathematics, the difference between an axiom, postulate and theorem is that axiom is a foundation or a starting point of reasoning, and a postulate is the act of demanding, where any two points can be joined by a straight line. Theorem is an account that has been demonstrated on the basis. Axiom is a generally accepted statement of fact. 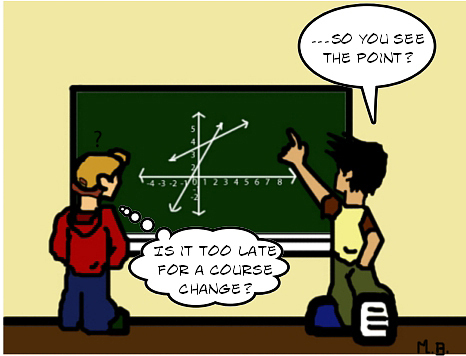 Postulate is the accepted fact in geometry. Theorem is the mathematical statement whose truth has been logically established. Uhh… ok. I think I finally get it (not really… I just want to get this post over with). Anyway, in order to complete any given series of homework problems in geometry we were required not only to actually show our work in getting the correct answer, but ALSO to locate the correct axiom, theorem, or postulate that corresponded toward arriving at that answer from the back of the textbook. And this means something to me how? 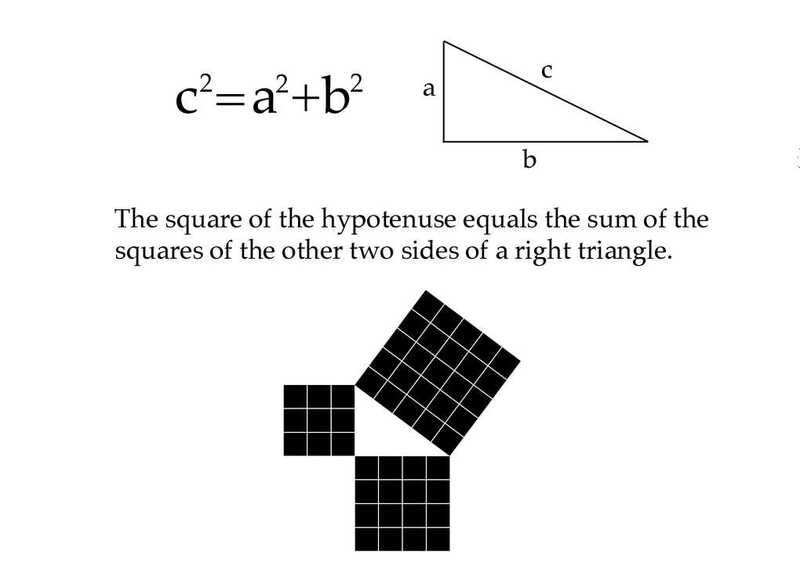 For example, if you had a problem that required you to determine if two triangles were congruent (yeah… why not just say “identical”) you had to know the sides or degree of the angles, work the math.. then find the postulate for the reason behind your answer. The Side Angle Side postulate states that if two sides and the included angle of one triangle are congruent to two sides and the included angle of another triangle, then these two triangles are congruent.” I mean, jeez.. no wonder I hated math! I think by now it was apparent I was not going to be computing for NASA the proper trajectory to orbit a spacecraft around Pluto. So what did I need this stuff for? But somehow I managed to clear high school.. and go on to college. 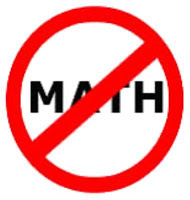 By time I did get to college I did my very best to only accept curriculums with the most basic math requirements. Usually if there was a swap for taking a math course or a science course I opted for the science course way out. But here’s the proverbial rest-of-the-story. Ancient history now, but a God-send back then. It was the mid 80’s, I was in my 30’s, college degreed and in a supervisory job at Quill Corporation (now part of Staples). Our automated environment in those days was limited to some IBM AS mainframe configuration (run by the IT department) and everyone had a terminal on their desk. 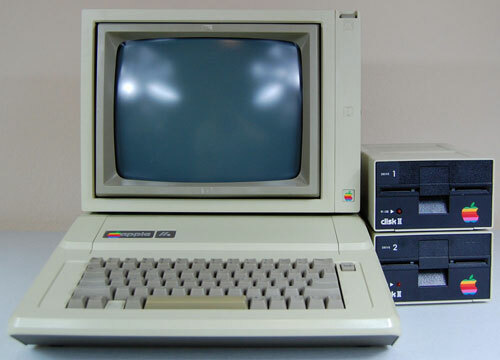 There was no such thing yet as IBM’s PC but the Apple II and III were just coming out. In those days if management needed some reports, especially at the department level, you had to submit a request to the IT department, after having had a bevy of authorized sign-offs to justify the man hours in order to print some big greenbar report. Then someone at some executive level had enough vision to allow the department heads to use their individual budgets to purchase an Apple II with a modem and a printer. Back then there were essentially three basic programs.. Dbase for creating rudimentary databases, Wordperfect, and Lotus Spreadsheet. My boss and a supervisor counterpart in another section didn’t have any computer operation knowledge much less knowing anything about those computer programs. I had a little experience because for the previous year I had been dabbling in basic language programming with the old Commodore 64. One day my boss asked me to try and figure out how to make a spreadsheet report on some production stats for my area. So I sat behind the new Apple, loaded up Lotus. I discovered that each cell on the spreadsheet required a basic algebraic-style math computation to compute the entered numbers. Wait.. I recall some of this! So after conjuring up ancient (and intentionally repressed) memories, I found I was relative light years ahead of most everyone in the office in doing this kind of stuff. I was immediately thrust into the local position of spreadsheet king. There was a logic behind it all that kinda fell right into place, and if there needed to be a more complex math equation I actually had a math book handy to walk me through the proper calculation punctuation. I guess the point all this is simply to reflect upon one of my most feared subjects in school being a catalyst of sorts nearly 20 years later for contributing to my effectiveness on the job. Never say never again is the lesson. But seriously… why the hell did I need to know dividing and multiplying fractions? It took me 20 years before I used it. 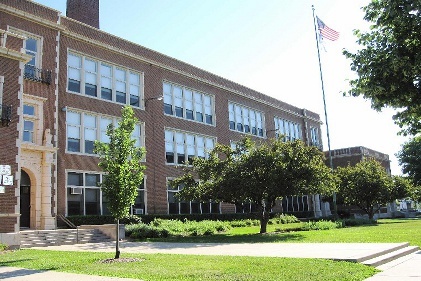 This entry was posted in Uncategorized and tagged Chicago Public School, Cornell University, Education, Massachusetts, Mathematics, New Math, Science education, Thought. Bookmark the permalink. ← Generally Speaking, The Government Shutdown Ain’t So Bad… If We Learn A Lesson. 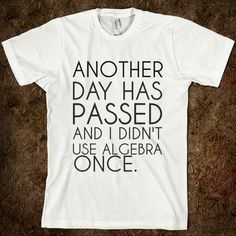 Yah, for shurrr dis makes me tink of daze in matt classs…tak you for da remind, dat I was hoppy to furgett, but now to know I vas not de only one what hated de algebra! I alwuss wuz de best in de Englis room, by de way!